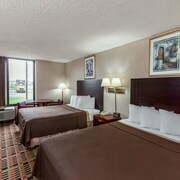 Situated in Amarillo, this hotel is 0.7 mi (1.1 km) from American Quarter Horse Hall of Fame and 1.8 mi (2.9 km) from Amarillo Civic Center. American Quarter Horse Association and Amarillo Public Library are also within 2 mi (3 km). 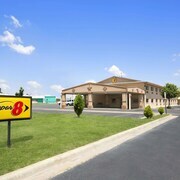 Situated in Amarillo, this hotel is within 1 mi (2 km) of Baptist St. Anthony's Health Care System and Westgate Mall. Don and Sybil Harrington Cancer Center and Texas Tech University Health Sciences Center are also within 2 mi (3 km). 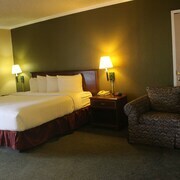 Located in the heart of Amarillo, this hotel is steps from Globe-News Center and Amarillo Civic Center. Amarillo City Hall and Amarillo Public Library are also within 1 mi (2 km). 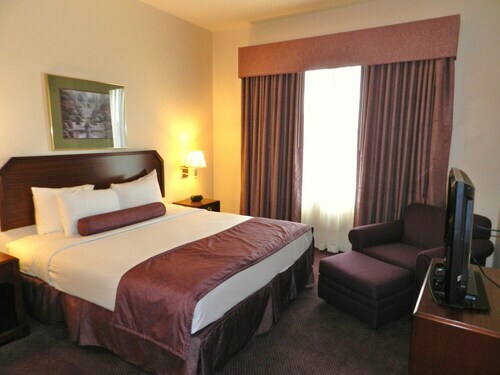 Situated in Amarillo, this hotel is within 2 mi (3 km) of Westgate Mall, Baptist St. Anthony's Health Care System, and Don and Sybil Harrington Cancer Center. Texas Tech University Health Sciences Center and Northwest Texas Hospitals are also within 2 mi (3 km). 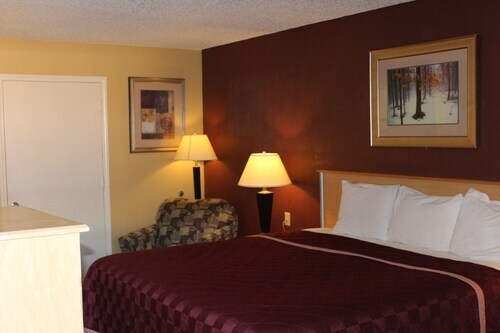 Situated in Amarillo, this hotel is within 1 mi (2 km) of Amarillo Little Theatre and The Galleries at Sunset Center. Amarillo Art Center and Amarillo Museum of Art are also within 3 mi (5 km). 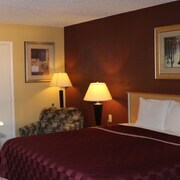 Situated in Amarillo, this hotel is within a 15-minute walk of Don and Sybil Harrington Cancer Center and Westgate Mall. Baptist St. Anthony's Health Care System and Texas Tech University Health Sciences Center are also within 1 mi (2 km). 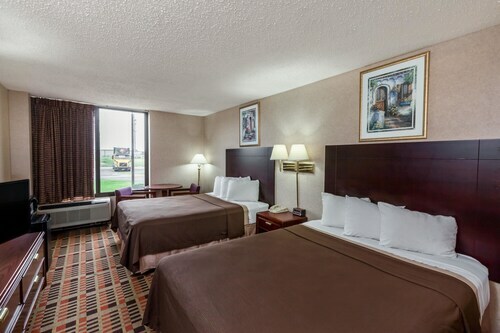 Situated near the airport, this hotel is 0.2 mi (0.4 km) from American Quarter Horse Hall of Fame and 2.2 mi (3.5 km) from Amarillo Civic Center. American Quarter Horse Association and Tri State Exposition are also within 1 mi (2 km). 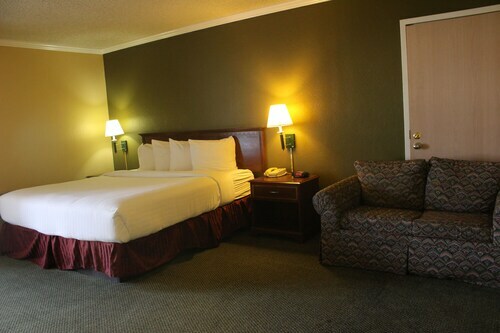 Located in the heart of Amarillo, this hotel is 0.8 mi (1.3 km) from American Quarter Horse Hall of Fame and 1.9 mi (3 km) from Amarillo Civic Center. American Quarter Horse Association and Amarillo Public Library are also within 2 mi (3 km). How Much is a Hotel Room in Amarillo? 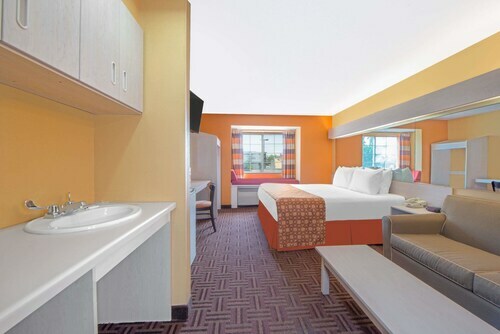 Hotels in Amarillo start at $47 per night. Prices and availability subject to change. Additional terms may apply. Take a deep breath of the clean, open air of America's west! Amarillo is in the middle of the Texas Panhandle, where the Great Plains begin, and its wide-open spaces include Palo Duro Canyon, the country's second-largest canyon. Amarillo honors its cowboy heritage, but this wild west flavor mingles with contemporary urban cultural and educational offerings. Cheap hotels in Amarillo are easy to book - Travelocity has abundant listings for the best accommodation deals in every part of the city. This city is set up for people who drive, so you'll need a car to reach the hotels in Amarillo. If you stay in one of the Amarillo hotels near the airport, you can easily rent a car for the duration of your stay. Get in that car and drive out to the unique exhibits of the American Quarter Horse Heritage Center & Museum, where even a newbie to horse culture will enjoy interactive exhibits, artwork, and shopping. Following this introduction, an actual horseback ride might be on your itinerary. Luckily, Amarillo has plenty of tour options that will provide you with a safe version of that iconic western experience. One absolutely unique Amarillo attraction (guaranteed to provide you with compelling material for your selfies) is the Cadillac Ranch. Stop at a store for cans of spray paint and head out to the row of ten Cadillacs, all half-buried in the ground. You are invited to add your own layer of spray paint to these graffiti-covered car-halves, joining other visitors in creating public art. Roadhouses and barbecue places offer the essence of local culture, and some of the best spots are located just off Highway 40, making them easy to get to from all motels in Amarillo. These eateries offer dishes like spicy brisket, peach cobbler, sirloin steak, and baked sweet potatoes with marshmallows that are not to be missed. 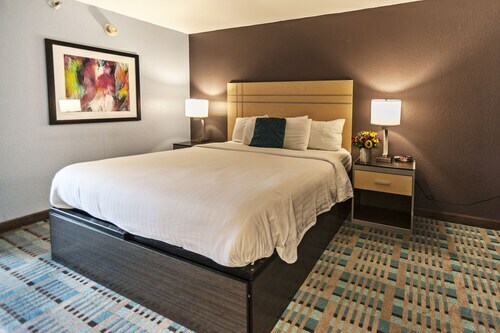 Choosing Amarillo hotels is easy with Travelocity's extensive, updated listings. Very clean and comfortable. Staff was very friendly. Easy check in, breakfast hours are convenient. 24 hour lobby. Pleasant people, kids a bit noisy at night and fairly early in the morning but that’s not the hotels fault.